We’ll cover some basics such as how much you should be lifting, how to plan a weight training regimen, how to record results, what you should eat, and the importance of resting. 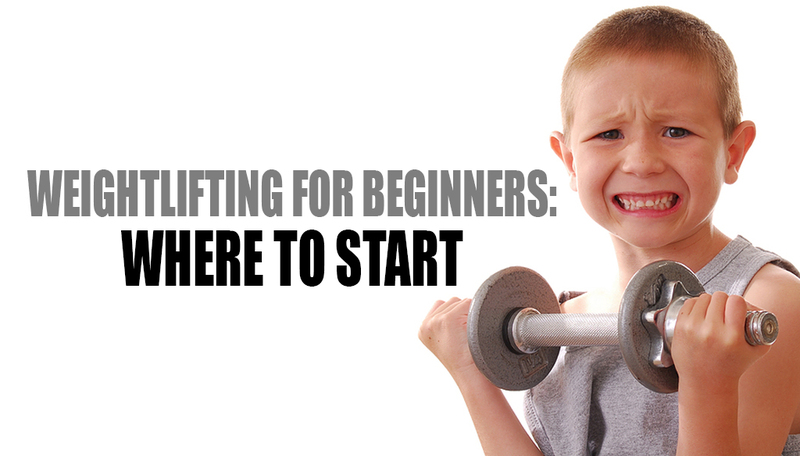 This is one of the most confusing aspects of weight training for newbies. If you have not yet taken a personal training lesson, you probably don’t know how much to throw on the bench press or squat machine. This is why we compiled some information from about one million active users from a report called Strength in Numbers. The data from Strength in Numbers is based on a standard rep structure (known as a 3-rep max (3RM)): 3 sets for 8-12 reps. This means you’ll, for example, bench x amount 12 times, increase the weight 5-10 pounds for the second set of 10 reps, then do the same for the third set of 8 reps. The types of workouts that people do while weight lifting will vary from person-to-person and from trainer-to-trainer. A good rule of thumb is to work out one area of your body as opposed to the whole thing during your sessions. So, for example, working out your upper body (biceps, chest, triceps, forearms) on a Monday, doing cardio on Tuesday, Lower body on Wednesday, cardio again on Thursday, and a core workout on Friday would be an example of a plan. As you learn more about exercises you’ll be able to craft better routines, but for starters it may be advisable to start with one day of upper body followed by a day of lower body. Alternating parts of your body allows you to give those areas ample rest and will allow you to become stronger, faster. Check out some of our hand-picked upper, lower, core and full-body workouts on our workout guides page. Most newbies will work out anywhere from 30 minutes to one hour. Initially you will be really sore the second and especially the third day after you start working out. This is partly due to the buildup of lactic acid in your bloodstream. It can be pretty painful for some, and learning a bit about lactic acid and how to reduce it would be helpful in keeping you coming back to the gym. The idea of weight lifting is to constantly be improving your results so it is wise to track your numbers as you go along. You can do this with a number of fitness apps like the BodySpace app or with a paper and pen. It is easy to forget how much you lifted on a specific machine from day-to-day so recording your results keeps you honest and helps you to stay motivated after you see the gains you make from month-to-month. Increasing the amount you bench press over a couple of months is rewarding and also means you are doing something right. Inversely, maintaining the same strength for long periods of time means you are either not trying hard enough or you have plateaued. Either way, the data will tell you if something in your weight training regimen needs to be changed. If you really want to get the most out of your weight lifting, nutrition is going to be one of the most important aspects in your training. For an example of the foods you should be eating, check out the Good EATS menu and more specifically their pre and post workout meals. These meals are nutritionally balanced with proteins, carbs and healthy fats and are designed to help your body function optimally. The long and short of the Good EATS meals – and healthy eating that maximizes weight training specifically – is that it will help provide your body the energy it needs to perform at its best and to repair itself after exhausting workouts. While the goal of being a weightlifting newbie is to lift and look like you are not one, you don’t want to overdo it. Overtraining will actually have negative results on your ability to build muscle which is why rest and recovery is so important. Rest allows your body to recover from the stresses you placed on it during weightlifting. As we mentioned above, a good approach to resting is one or more days off per portion of your body. A lot of people will work out every day of the week, alternating between cardio, upper and lower body each day and resting on Sunday. Resting does not mean you are not working out at all, it really means that you are just giving that portion of your body (ex. Upper body) a chance to recuperate and build the muscle fibers you worked so hard to strengthen.